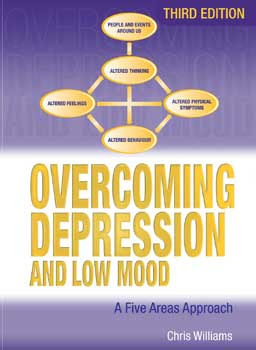 Building on the success of previous editions, Overcoming Depression and Low Mood, Third Edition, presents a series of self-help workbooks for use in self-assessing and managing depression and periods of low mood, with support from a health care professional. This book covers all the issues that are known to be problematic in depression in the clear, user-friendly format that is associated with the Overcoming... series. The interactive questions and worksheets are a key feature of the series and they are plentiful and appropriate in this new title. Using the established Five Areas Assessment model of depression, the book provides a clear model of intervention, using the proven cognitive behaviour therapy evidence-based approach. It is empowering and supportive, helping readers make changes to their lives in a planned and achievable way. The workbooks also provide an invaluable resource for counsellors, general practitioners, nursing staff, psychiatrists, social workers, and others working with people suffering from low mood or depression.